← I hate (Facebook’s) Paper. Flipboard, you’re safe. Techno zombies beware! 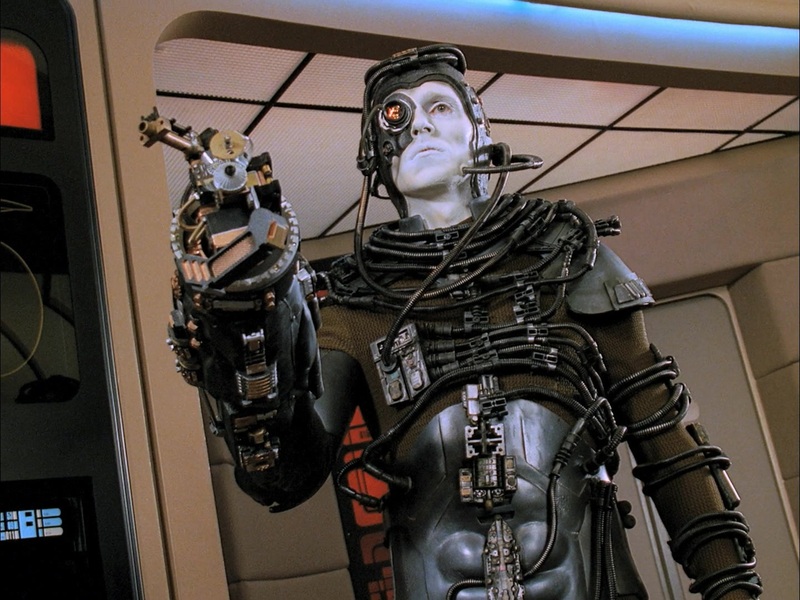 You will be assimilated! Standing in line at Starbucks (or Dumb Starbucks). Oblivious to the world around them. You know what I’m talking about. Don’t you? You’re probably not even aware that you may one of them. A person or persons who walk through public areas (shopping malls, sidewalks, etc) text messaging on their cellphones, not paying attention to their surroundings. My definition is a little more expansive. In my universe, a techno zombie is anyone whose life revolves around their device. Their every waking hour is devoted to an absolute (or near absolute) obsession with their device. 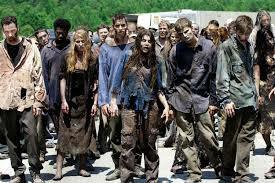 How do you know whether you’re a techno zombie or not? Simple: answer the following questions. When you get up in the morning, do you automatically check your phone or tablet? When you head out the door, do you reflexively check your phone? When you’re walking to the train or subway, do you frequently check your phone? When you’re riding the train or subway, are you checking your phone? When you’re sitting in a meeting or on a conference call at your job, do you find yourself checking your phone? At various points throughout the day, do you find yourself checking your phone? Do you find yourself checking your phone even when you haven’t received an alert, buzz or notification prompt? Have you ever experienced the ‘phantom vibration’? If you answered “yes” to four or more of the questions above, you’re a techno zombie. And I don’t want to hear that you’re always checking for missed calls. You’re not that important and who actually calls anyone anymore? You’re checking for a response to that last text message. Or the latest Facebook post in your feed. Maybe you just got an alert from the NY Times. Or someone invited you to play Words with Friends. Perhaps it was a notification that someone started following you on Twitter. Whatever the reason, we have become a people inextricably tied to our devices. Somehow, insidiously, we have slid from a people who thrive on physical interaction to ones who subsist virtually. We have become the Borg. Oh, I’m exaggerating, am I? The next time you leave your office, count the number of people walking down the block with their faces buried in their phones. Walking and texting is so commonplace that one can navigate an entire city block without ever looking up. Instead of bumping, pinball like, off other people, eliciting “Hey! Watch where you’re going!s” in your wake, people part like the Red Sea, allowing you to pass unaccosted. Because no one wants to disturb you mid-text. The next time you’re on the train, observe how many people whip out their devices and remain glued to them the entire ride. Gone is the polite banter among riders, replaced by mutes, immersed in tiny screens. Zombie-like we wander, shunning human interaction for virtual pleasure. Seeking validation in likes, retweets and shares, instead of in the company of other people. We have lost our individuality. Subsisting instead, as part of a large undifferentiated mass of eyeballs, to be sold to the highest bidder. And what is this collective to which we belong? Who profits from our lack of individuality? Facebook? The Government? Microsoft? Google? Apple? We certainly don’t. Nor do we care. Today, February 11th, is a rally to protest data collection by the NSA. How many of us will be there? How many of us are even aware of the data collection practices of the numerous carriers, apps, websites, and online service we happily sign up for? Which of us actually takes the time to read the Terms and Conditions associated with using Gmail, or Facebook, or Instagram? When was the last time you actually turned your phone off or (even more daring) left your phone at home? On purpose? With all the data collection being done, hackers lurking around every public wi-fi spot, and swiss cheese privacy policies making your every keystroke fodder for marketers, I’m surprised that more of us are not alarmed at our steady decline into digital complacency. Rather than fighting to ensure that we safeguard ourselves against the insipid practices of Big Brother, we’re checkboxing our way to our own demise. And we’re taking our kids down with us too. We happily hand our children Nintendo DSIs, Kindle Fires, PlayStations and Xboxes and wonder why they’re fat, lazy, with ADHD, short attention spans and don’t know how to socialize with their peers. While my rant today may seem random, it was inspired by my own personal descent into digital oblivion. The other day, I found myself staring downward, at my iPhone, as I made my way towards the train. I had become that which I abhorred! How often had I cursed the wayward walker ahead of me, bobbing and weaving, oblivious to all else but their precious device? Imagine my shock to find myself the wayward walker. When I got home, I took and hid all the kids’ electronic devices in the house, and none too soon. I realized that my children were being assimilated and I was contributing to the their social demise. Who knew how much longer I had before I was LOLing with my kids via text and ‘liking’ on Facebook instead of hugging and playing with them in real life? …or crumpled under the bumper of a car. Truth. Sad, sad truth. It really makes me ashamed of my generation, because I think we’re the worst. Can’t talk to strangers, can’t get through a date without whipping out a smartphone, can’t look both ways before crossing the street (too busy texting). I hate it. I hate my phone, too. I have no problem leaving it at home. I do have a slight problem with the fact that nowadays people expect to be able to reach you anywhere anytime. Then if you say, “Hey I don’t keep my phone on me,” they think you’re lying because the idea is so absurd to them. Ain’t it a damn shame Bob? When did we decide to plug into the Matrix? And why is it so hard to disconnect? I honestly do not know but face to face interaction seems to be disappearing.